The Verywell thyroid disease community has continually mentioned the lack of support they experience and the difficulty they have navigating the unhelpful information that exists both on and offline for their condition. With that, we surveyed 840 people with various forms of thyroid disease to help shed light on this often overlooked and misunderstood condition. Regarding their healthcare team, 1 in 9 believe they are being ignored. Regarding treatment, only 6 percent felt completely satisfied, with 1 in 5 feeling completely unsatisfied. Only 17 percent think their physician is a good source of support. When discussing their condition and symptoms, 12 percent believe their treatment team doesn’t believe them. 43 percent changed doctors due to bedside manner and 41 percent due to unavailable tests or treatments. No matter how long they’ve been getting treatment, only 35 percent claim they’ve gotten better. All aspects of life—professional, social, romantic/sexual, athletic, personal/hobbies— for 73 percent have been affected. 45 percent have been receiving treatment for over 10 years. When looking for information, 87 percent evaluate multiple sources in efforts to manage their condition. 38 percent trust health websites versus 40 percent who rely on physicians. According to the CDC, 5 out of every 100 people in the U.S. have hypothyroidism. But thyroid disease itself refers to not just hypothyroidism and hyperthyroidism, but also anatomical abnormalities like goiter and even thyroid cancer, which is estimated to present in over 50,000 people in the U.S. in 2019, according to the American Cancer Society. But no matter the specific condition, any patient with thyroid disease will tell you that they don’t usually feel supported or believed when discussing their symptoms. Across the U.S., 12 percent of respondents believe that their treatment team—their doctor, nurse, endocrinologist, and other specialists—don’t believe them when they discuss their condition and symptoms. And only 17 percent actually think their physician is a good source of support. The fact that 1 in 9 patients believe they’re simply being ignored by their healthcare team is an alarming statistic that should make every thyroid specialist take heed. Additionally, respondents reported feeling only minorly supported, if at all, by their employers. Almost half (46 percent) stated that they receive absolutely no support from their employers and 39 percent believed their employer didn't think they even had a thyroid-related condition. On top of that, only 30 percent believed their family is a good source of support. Symptoms of thyroid disease are not trivial. According to respondents, every symptom is felt so severely that it’s brought up for discussion with their healthcare team every time they meet. Symptoms are not just present, but have a serious impact on the lives of thyroid patients too. For 73 percent of respondents, all aspects of their lives—professional, social, romantic/sexual, athletic, personal/hobbies—have been moderately or significantly affected. In fact, athletic activities suffered the most, with 84 percent mentioning significant impact. Thirty-nine percent mentioned a significant impact on their professional lives. Across the country, the individual health conditions that many thyroid disease patients face are far from uniform. This coupled with the fact that 68 percent changed doctors at least once—and that almost half (45 percent) have been receiving treatment for over 10 years—reinforces a notion that true diagnosis remains elusive. Moreover, only 6 percent of survey respondents felt completely satisfied with their treatment, with 1 out of 5 feeling completely unsatisfied. And no matter how long they have been getting treatment, only 35 percent claim they’ve gotten better over time. Thyroid disease patients still remain resilient in the constant uncertainty of their condition. While a majority admit they might actually understand less about their condition than they think, 19 percent claim they completely understand every facet and 30 percent have had a TSH test in the last month. And, if they can’t get the answers they’re looking for, thyroid patients will hit the pavement. As noted above, 68 percent of respondents have changed doctors at least once, and, of those who have, about half have had to do it 2 to 4 times. Thyroid patients are also diligent in pursuing any treatments that could help them. But if patients don’t know about treatments, they can’t try them. All thyroid cancer patients surveyed had never even taken the most prominent thyroid cancer drugs, like Tafinlar, Nexavar, Mekinist, Lenvima, Cometriq, or Caprelsa, which might suggest they either aren’t aware they exist or they’ve decided they won’t be effective. Ultimately, all of these struggles result in thyroid patients being very skeptical of claims made for their disease management. Thus, 87 percent evaluate multiple sources of information to manage their condition. This includes health information websites, government/hospital websites, their healthcare team, patient advocacy websites, pharmaceutical websites, and their family, friends, and spiritual counselor. In fact, 38 percent of respondents stated that health websites are most often the trusted resource they use to find information on managing symptoms, compared to a very close 40 percent who rely on their physicians. Strikingly, health information websites even outrank doctors as a source of trust for evaluating test results and treatments. Thyroid disease patients of every stripe, spread across the country and the world, are simply not having their needs met by the healthcare landscape. So, what can we do to serve them? 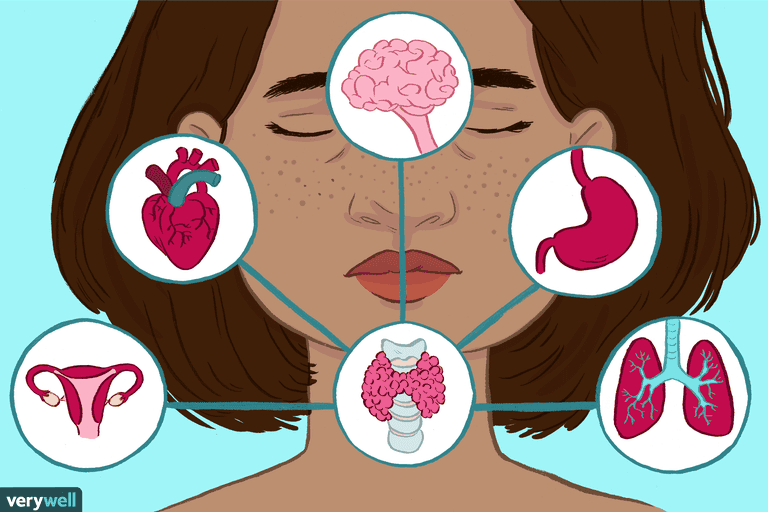 Doctors, nurses, nutritionists, counselors, massage therapists, and other frontline care providers need to believe the women, the young, and the people of color who report fatigue, memory loss, pain, and other symptoms that relate to thyroid disease. If they don't, something has fundamentally broken down in the relationship between healer and patient. Prescription drug makers and many health information websites—especially those operated by academic centers, hospitals, advocacy groups, or national governments—must also take a hard, long look at their digital offerings. They must engage and educate patients. Survey respondents were identified through outreach to Verywell's Real Life With Thyroid Disease Facebook community (moderated by Verywell) and the Verywell email community. All participation was 100 percent voluntary. Respondents were incentivized by the chance of winning 1 of 8 $25 gift cards to Amazon, at specified intervals, if at least 75 percent of questions were answered. Data was compiled using Google forms and anonymized. Data cleaning and statistical analysis was performed using Excel. Data visualization was performed using Datawrapper. While our respondents were very generous with their thoughts on living with thyroid disease, we did face certain limitations in producing this research. Remotely administered surveys face self-report bias, interpretation error, and can have trouble capturing context for findings, specifically the chronology of patient diagnosis or pursued treatments. We expected significant bias from our respondent pool towards trusting Verywell. But, while we did see some preference for our website over close competitors, we were neither the most trusted institution in the space nor the most trusted health information website. Our respondents also interpreted our survey questions in ways we didn’t anticipate, providing data that needed significant clean-up before it could be used. While our response pool was substantial for our overall analysis, when we stratified the responses by condition, geographic region, insurance, or age group, the sample size for more targeted analysis became statistically insignificant. Moreover, our analysis did not use SPSS, Stata, R, SQL, or many of the traditional data analysis techniques that are considered industry standards. While this allowed us to produce a more lightweight analysis, we encountered some limitations in developing more granular findings tightly associated with a specific condition, trust of an individual institution, or age group. If you would like to contact the Verywell team for more information on this survey, please email survey@verywell.com. And feel free to check out Verywell's Real Life With Thyroid Disease community on Facebook or sign-up here for our daily thyroid disease newsletter. Hypothyroidism. National Institute of Diabetes and Digestive and Kidney Disease. Thyroid Cancer. Centers for Disease Control and Prevention. Key Statistics for Thyroid Cancer. American Cancer Society.